Every year WFP feeds more than 20 million children in school feeding programmes in some 70 countries. 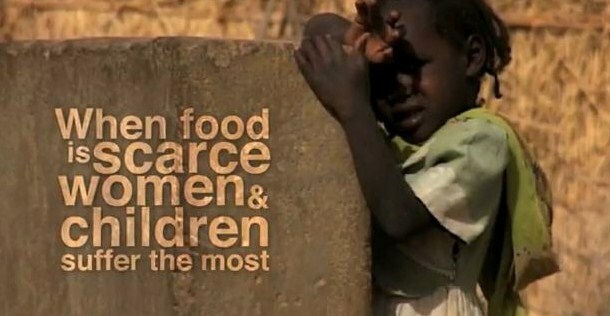 In 2008, WFP fed a record 23 million children. In the countries most heavily affected, HIV has reduced life expectancy by more than 20 years, slowed economic growth, and deepened household poverty. In sub-Saharan Africa alone, the epidemic has orphaned nearly 12 million children aged under 18 years. (Source: 2008 UNAIDS Global Report on the AIDS Epidemic). WFP and UNAIDS project that it will cost on average US $0.70 cents per day to nutritionally support an AIDS patient and his/her family. Assistance for orphans and vulnerable children is estimated at US$0.31 per day. Previous Will Courage Rise Up Again In Burma? Ohhhhhhhhhhh many a congratulations dear friend for the Blogger of the United Nations’ World Food Program. …………just read this……..so thou I’m late but my wishes are true….. very well written…. congrats again. Admire your this post for a positive reporting “for the people” and exposing the superficiality of the much trumpetted paper work on “Human Rights”. This is the folly of the human society. That is why some Englishman has said, “World’s most problems are created by the people of high intelligence with low morality”. This is not an exact quote but its off hand purport. I am glad that you are on the right on the right path of the “Fourth Pillar” of democracy. Thank you Dr. Sudrania for the good words. I am glad you went through the post that may further spread with some great work that you are already doing for the mankind. u have done us proud. keep it up. I notice that you have been declared Blogger of the United Nations’ World Food Program. You have done the Indian blogger community proud. Congratulations! Thanks Naushaba. There are miles to go. My contribution for the cause is still negligible. Thanks again. Congratulations Neeraj. Great effort. Go ahead and keep it up. Thank you, Bhaiyajee. Thank you for noticing and commenting. Regards. You have made us proud! Wish you all the best. Thank you Milan Da. And I visited your site as well. You have some great work over there. I just recommend it.